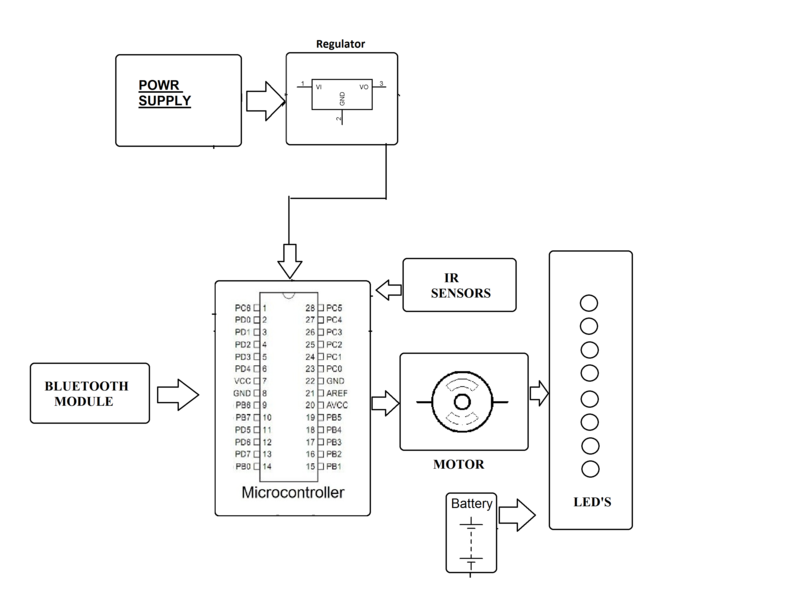 A Propeller based display is a display that works on phenomenon of persistence of vision. Persistence of vision is what makes discrete images incident on a human eye and changing at a rate of almost one-sixteenth of a second appears to be an image collective of all the individual images. 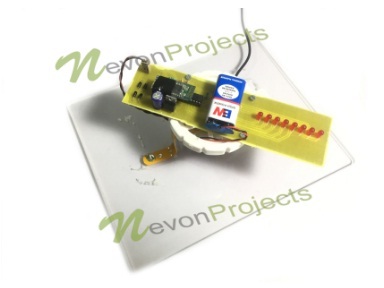 This concept has been used in this project to demonstrate a live clock that displays Time in the format of HH:MM:SS. 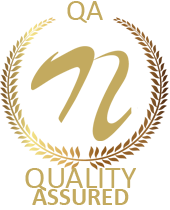 For making it more robust system, the system has instantaneous time change capability as per the users input to give correct time information as per the users demands. Digital Propeller Clock with Android Override project is built around ATmega family microcontroller. The system has a high RPM motor which makes the system rotate. The LEDs arranged in a row across the PCB turn ON and OFF at specific intervals when the system rotates to produce image of a character on the eye of the human watching it. This makes the observer believe that he/she is watching a digital clock that has few LEDs lit for each of the digit displayed in the clock. 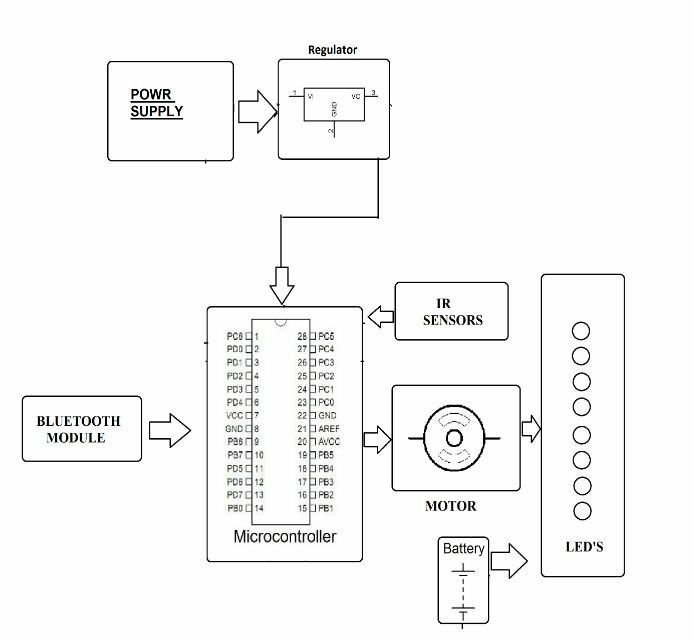 For making the information given by the system to be in synchronous what the user wants the system also has Bluetooth interface. By using the Android Override via Bluetooth in the Android cell phone of the user, the user can update the time that the Propeller Clock is displaying. This system can prove to be very useful in various scenarios where the user wants propeller based display that consumes less space, less electricity and also in synchronicity with the users choice of time. 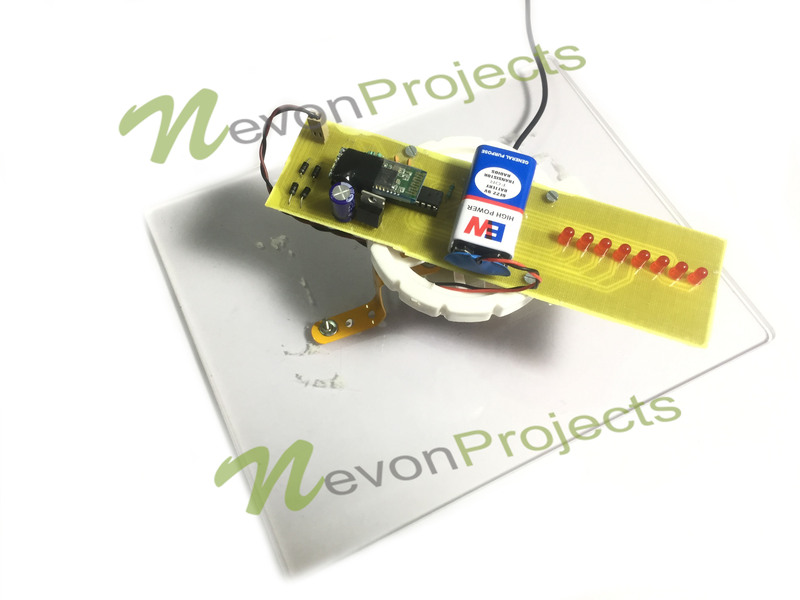 Hence, the Digital Propeller Clock with Android Override Project is a useful project to demonstrate the advanced technique of display using persistence of vision using live interface with human via Android Override.